‘GOLD NEWS RAW’ is a monthly summary of top news stories relating to metals, energy, and geopolitics. Coverage of top media interviews, commentary and opinion creates and interesting, educational and often provocative format for readers. Coverage of metals include: gold, silver, copper, platinum, palladium, rhodium, and uranium. Ever since the dawn of civilization gold has been a most highly desired commodity. Whether it is sought after as an attractive shiny metal, for perceived medical benefits, industrial uses, coinage, or protection against government created inflation, gold has been in high demand since its discovery. Meanwhile, Crude Oil has been the catalyst for the Industrial Revolution and trigger for many world conflicts. 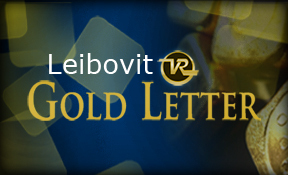 Gold News Raw is a complimentary report produced by LeibovitVRNewsletters.com. Fill in the form below to gain access and start getting email updates today.